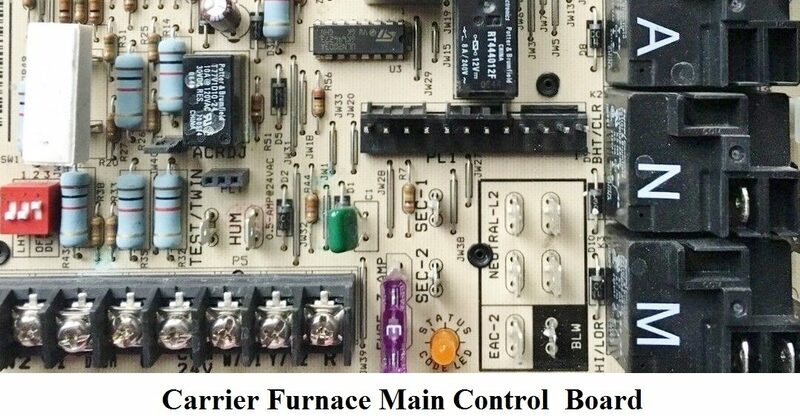 The furnace control board also known as the brain of your Trane furnace unit. The board controls operations with in the furnace such as, the furnace gas valve, igniter and flame sensor etc. 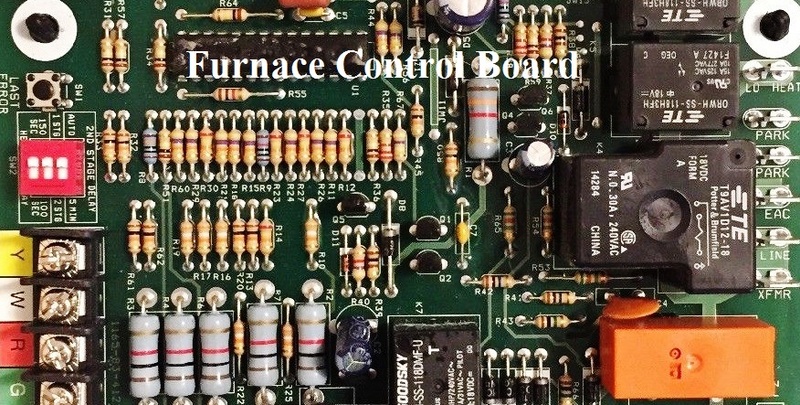 The furnace control board is also known by several different names throughout the (HVAC) Heating Ventilation and Air Condition Industry. 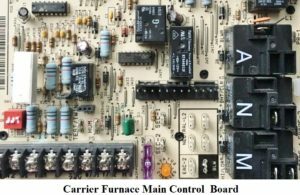 Furnace Control Board, Furnace Circuit Board, Furnace Control, Furnace Mother Board and The brain of the furnace. Now that you know that both of the boards are the same, hold the new one up close to the old one and start transferring the wires from the old board to the new one. one at a time, using a pair of needle nose pliers. You will need a screwdriver to disconnect the screws for your small gauge thermostat wires. While transferring and reconnecting the thermostat wires, make sure that the outer plastic coating is cut back far enough from the tip of the bare wires so that when you connect them to the new circuit board you only have bare copper wire touching the plate while you tighten the screws down for a good electrical connection. Once you have transferred all of the wires from the old board to the new replacement control board you will need to loosen or take the screws out of the control board housing or mounting panel. Once it is loose and free from the furnace you will need to turn it over and release the control board from the back of the mounting panel then simply align the new board pins with the holes in the mounting panel and snap it into place. 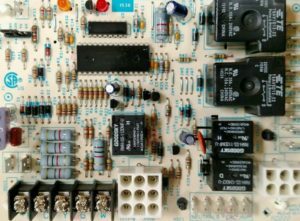 Your Trane furnace control board has a life span just like any other household appliance parts do and can wear out from use and age. Lightning strikes cause a lot of havoc on appliances and are responsible for damage to many circuit boards. Electrical power surges and flood waters or just moisture/condensation can also be to blame for a faulty furnace control board.